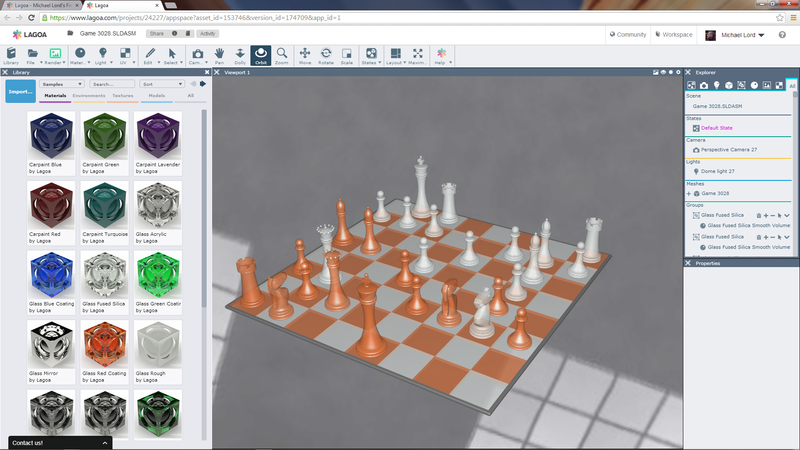 It was the start of the year just before SolidWorks World 2014 that I first became aware of the new rendering program – Lagoa. With any rendering it’s about the realism which equates to the provision of the Materials, Lights (Shadows, Reflection) and Cameras (Angle and settings). There is a reasonably good selections of Materials. 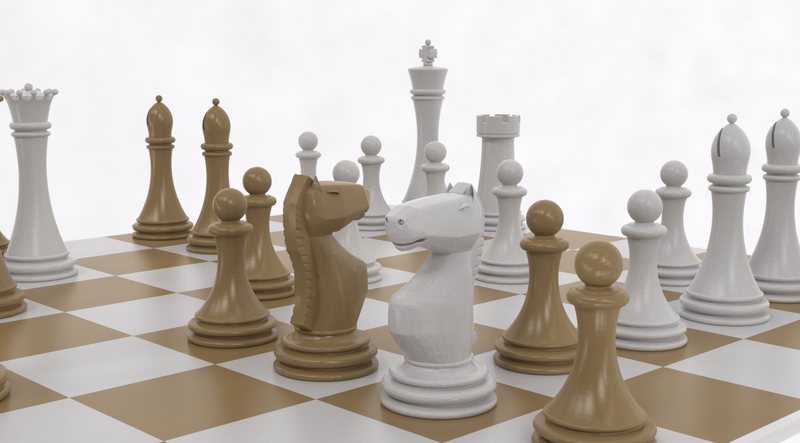 There is also a very good Material Guide (which I discovered a few days later) which provides in depth descriptions My approach to this first use was straight forward, upload my (now reasonably old but always good to render) SolidWorks – Chess Assembly. Add Materials, select Lights and Render. 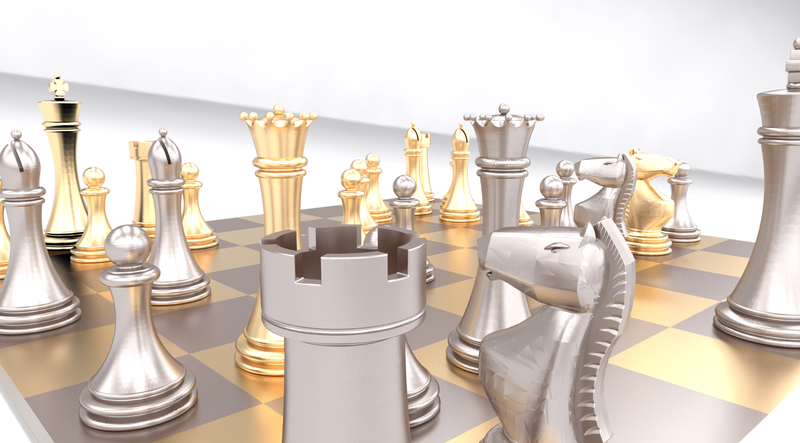 Change Materials, Lights and Camera then Render. Repeat as many times as time provided! 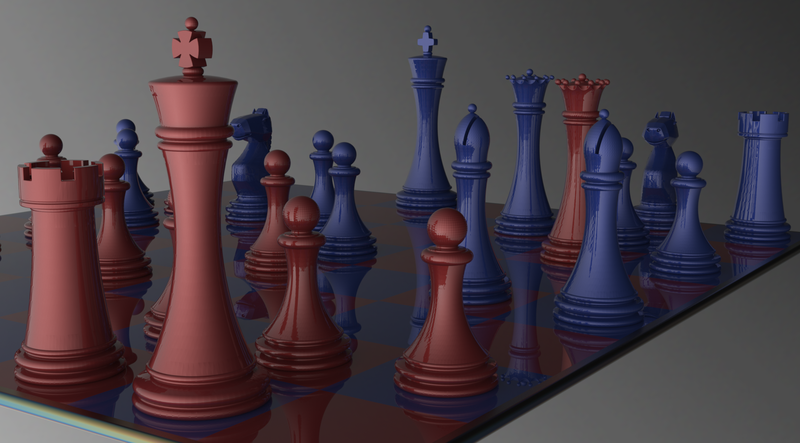 So these are the firsts of those renders. 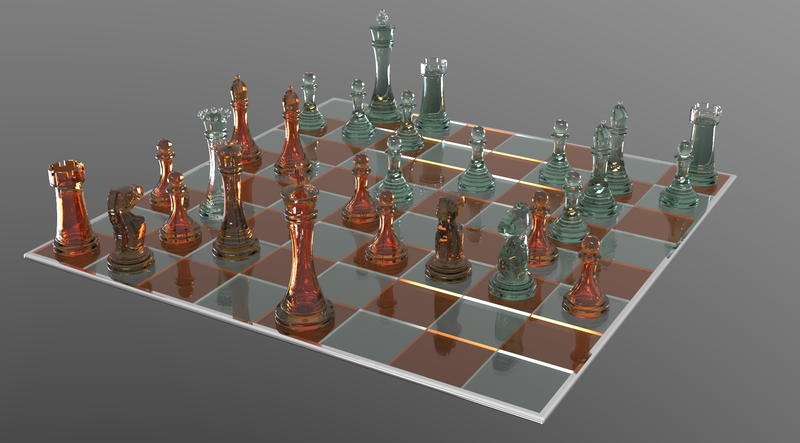 It’s hard to be too critical of these renders and I’m reasonably pleased with the results. 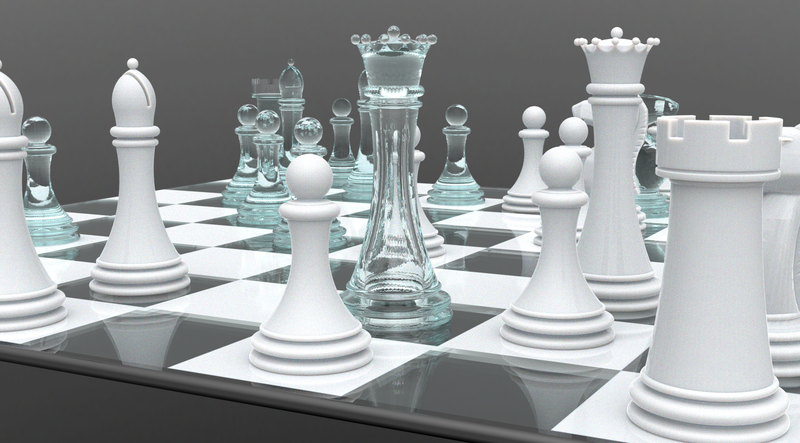 Although the renders are basic most of the materials display very photorealistic. The “Realistic Car Paint” is exceptional and I now “need” to produce a render of a vehicle. The “Tinted Colour Glass” is again outstanding! 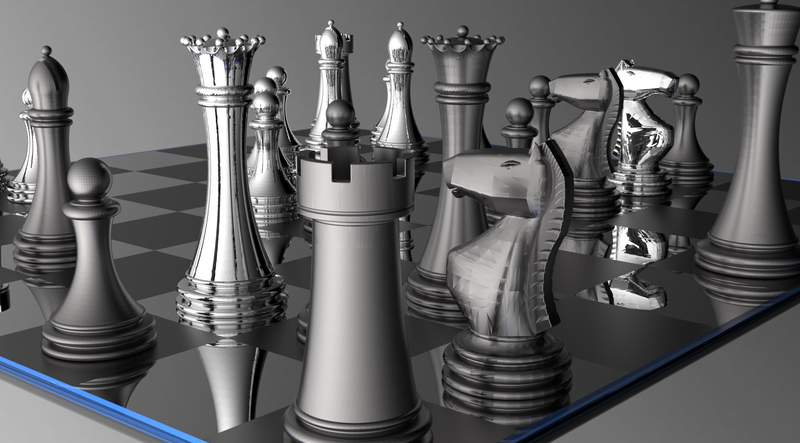 The “Metals” have a very pleasing mix of reflection and shadow! 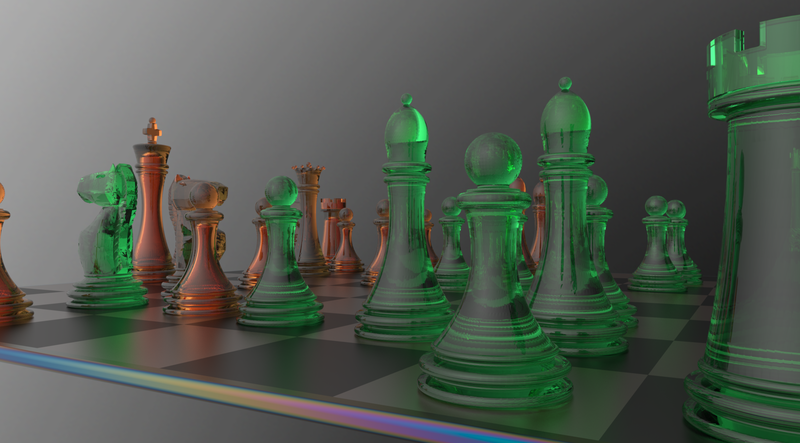 These render were simple to produce and the program is intuitive to use, from the uploading of files to the adding of Materials and Lights. Everything can be adjusted! EVERYTHING! This was a brief (but very enjoyable) use of Lagoa and from what I’ve seen and tried it is impressive. More importantly it does what it claims! 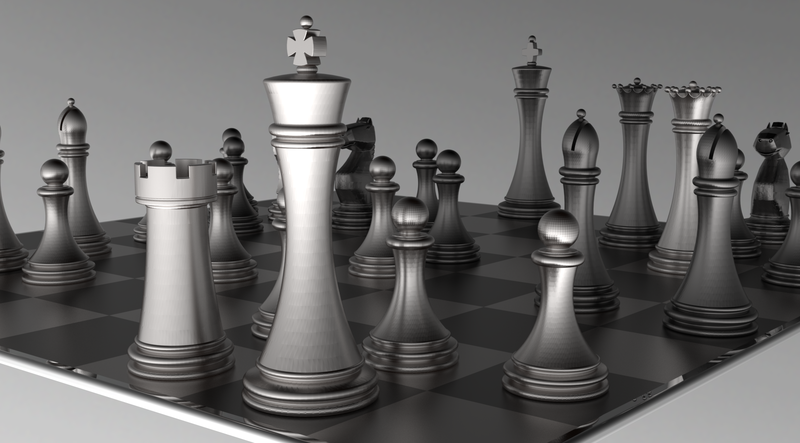 It produces renders that are of high quality and photorealistic. Add to that they were produce using my home “family computer” a Dell Vostro 460, i5 – 2400 3.1Ghz 32bit 4Gb RAM not your typical Render machine! I look forward to finding some more time to spend with Lagoa ….. now where is that model of the Zonda!